Tony Stark designed a suit of armor that is effectively an addition to his Iron Man Armor called the Hulkbuster. This suit was designed specifically to battle the Hulk and featured numerous upgrades. 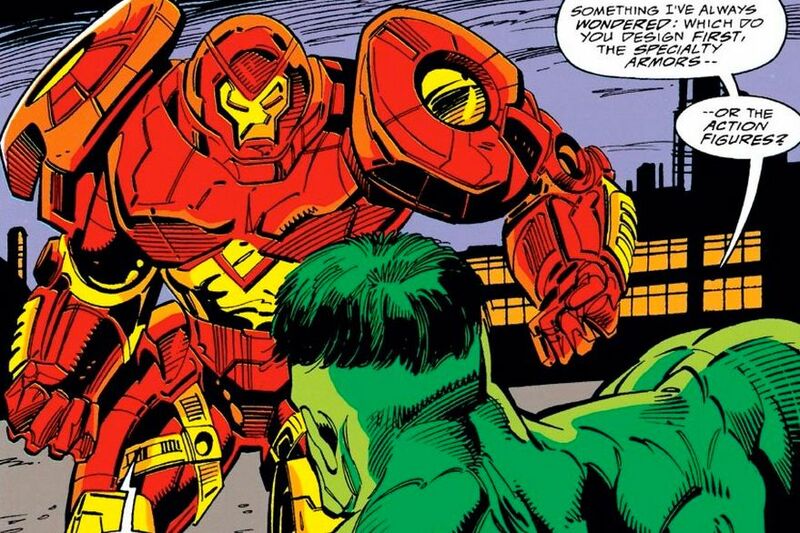 The Hulkbuster was first used in Iron Man #304 (1994), when an intelligent version of the Hulk sought to destroy a Stark factory after he learned it was used to build Gamma Bombs. Stark met him at the gate in the Hulkbuster suit. The two had some fisti cuffs but eventually came to an amicable solution and did not battle each other full out. It still is one of the most famous battles between two heroes in comic book history.